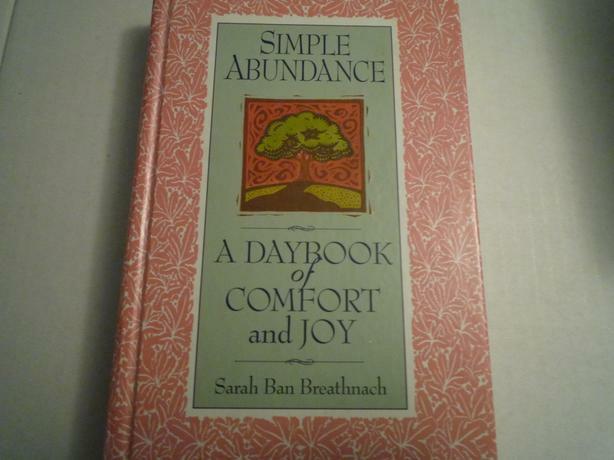 Simple Abundance: A Daybook of Comfort and Joy by Sarah Ban Breathnach. Hardcover book with sewn-in silk bookmark. Each day of the year has a quote from a famous person that precedes a short tale. thanks for looking.